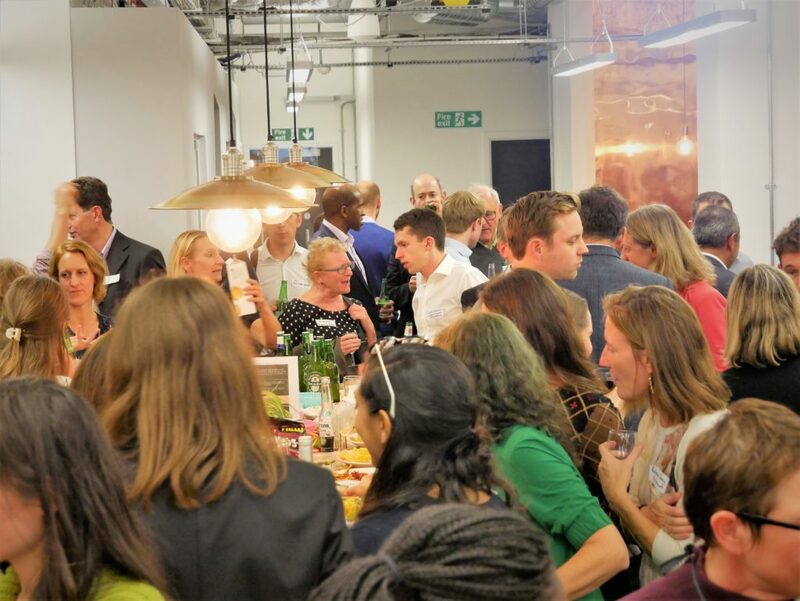 Hosting: E Co. x Green BEERS, Summer 2019 – E Co.
Last October, E Co. partnered with the Green BEERS community to host a standing-room only networking event at our central London offices, filled with craft beer, organic bubbly, and a vegetarian smorgasbord. Walt Patterson, (the first energy campaigner for Friends of the Earth in the 70s) shared some wise words whilst the whole E Co. team welcomed friends, clients and partners for an enjoyable evening of lively conversation, connection-building and delicious refreshment, sponsored by sustainable partners, Waitrose, ChicP and Soffles. This year, we’re planning to host a Summer edition on the rooftop of our London offices. Registration details to come. Green BEERS brings together participants in the energy, environment, renewables and sustainability sectors.